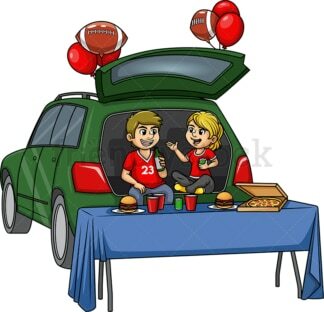 Royalty-free stock illustration of two male sports fans talking while sitting at the back of an SUV with its tailgate open. 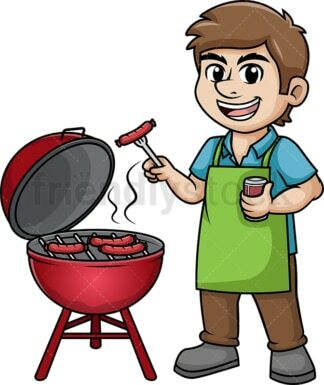 There is a freezer with beer and a barbecue grill with sausages grilling. 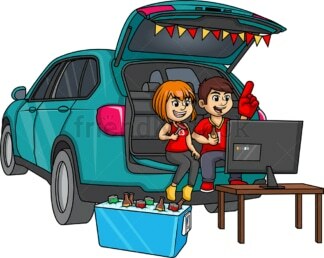 Royalty-free stock illustration of a man and a woman sports fans, sitting at the back of a vehicle with its tailgate open, drinking beer, watching a game on the TV and cheering. 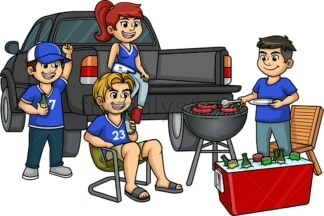 Royalty-free stock illustration of a group of four sports fans around a pickup truck with its tailgate open, cooking barbecue on the grill and drinking beer right before the game starts. 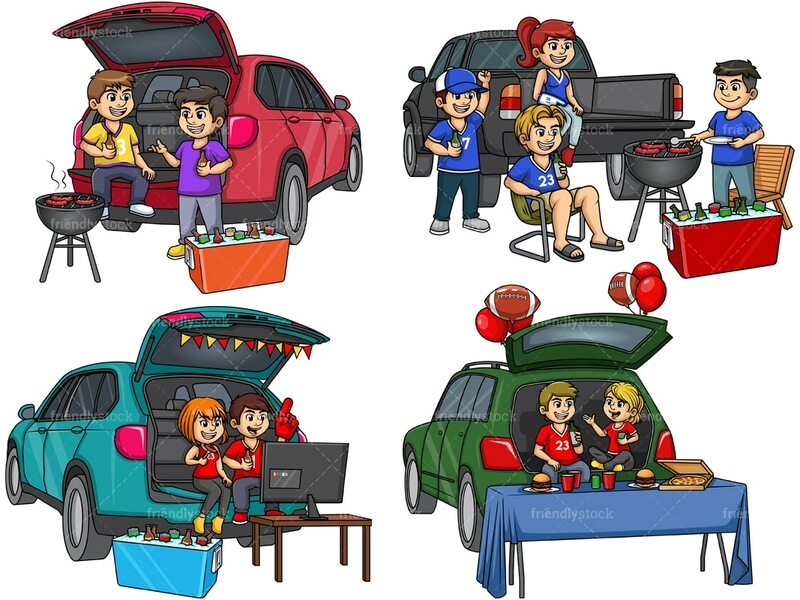 Royalty-free stock illustration of a man and a woman, wearing t-shirts of their favorite sports team, sitting at the back of a car with its tailgate open, drinking beer and talking. There is also a table with grilled food and drinks on it.